The 34-year-old actor is passionate about environmental issues, and while he wants to raise awareness of causes close to his heart, he doesn't want to become "self-righteous". In a profile of himself for Entertainment Weekly magazine entitled 'Why I'm Obsessed with Ryan Reynolds, by Ryan Reynolds', he wrote: "Reynolds is also careful not to get too self-righteous, and is not one of those finger-wagging celebrities telling you how to live your life. 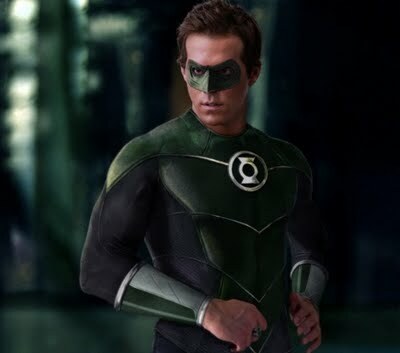 In his profile, the 'Green Lantern' actor also recalled his childhood skirmishes with his brothers in Canada. Ryan – who split from wife Scarlett Johansson in December after two years of marriage – reminisced about his teenage crushes, discussing the first time he had his heart broken. According to the publication, "her name was Finona Gorchinsky and she broke Reynolds’s heart - and nearly his neck - during a school bus ride in the eighth grade."